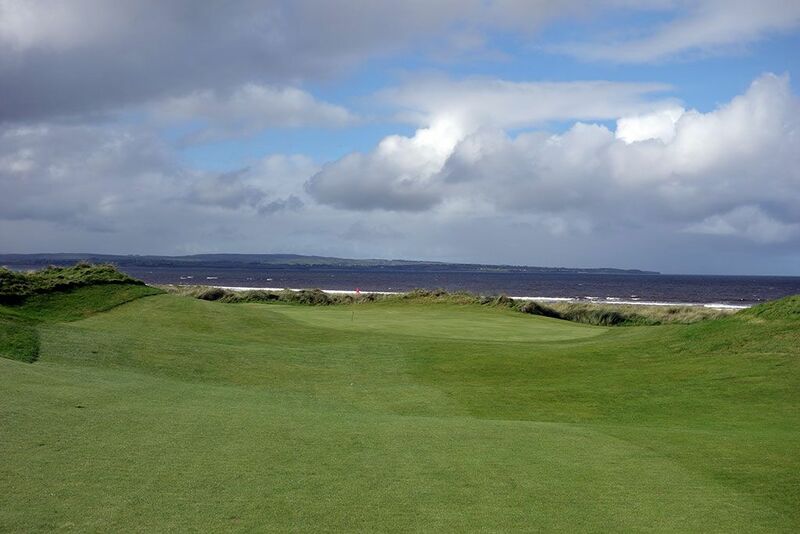 Course Website: Official Website - Visit Enniscrone Golf Club's official website by clicking on the link provided. Accolades: Ranked 9th in Ireland by Golf Course Gurus. 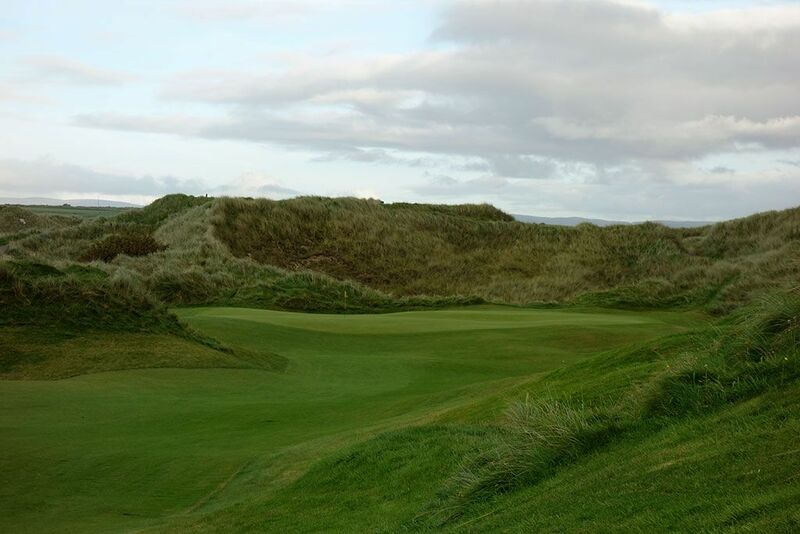 What to Expect: Enniscrone features some of the most dramatic dunes in Ireland with players delving from the flat lands into the dunes once the opening hole doglegs towards the ocean. 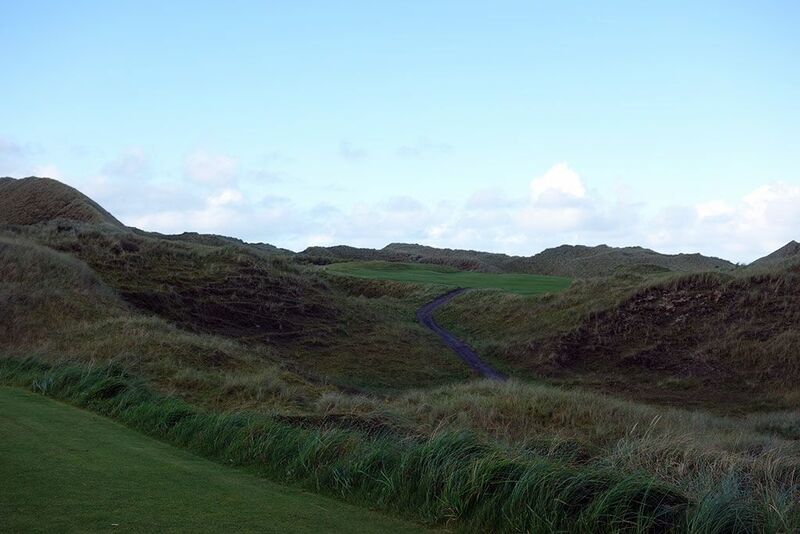 These choppy dunes create hilly fairways, uneven lies, and the occasional blind shot that Irish links are famous for. The dunes are blanketed in tall marram grass which creates a serious challenge to contend with when you miss the fairway and unique esthetics for this coastal layout. 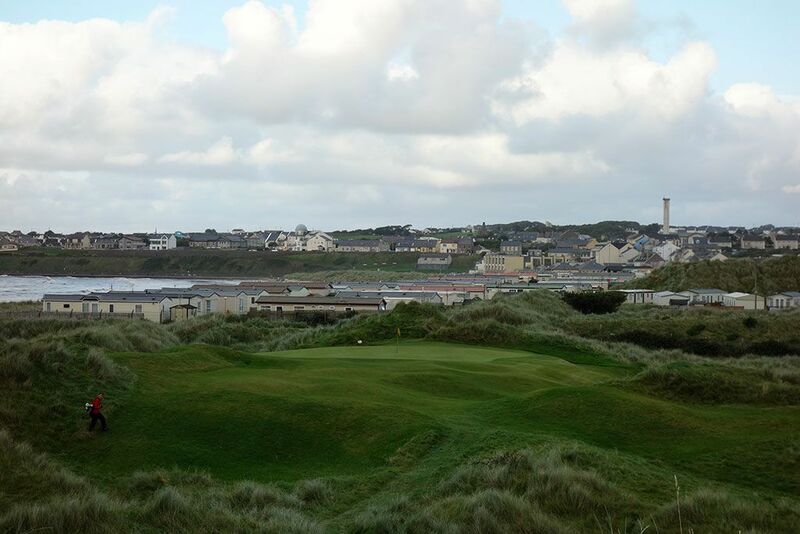 In terms of dramatic terrain, Carne may be Enniscrone's only rival on the Emerald Isle and while a limited number of carts/buggies are available, players that elect to walk will give their calves an extra workout as they traverse the rolling landscape. The outward nine takes you far from the clubhouse before traversing back home with the inward nine holes; a classic links feature. 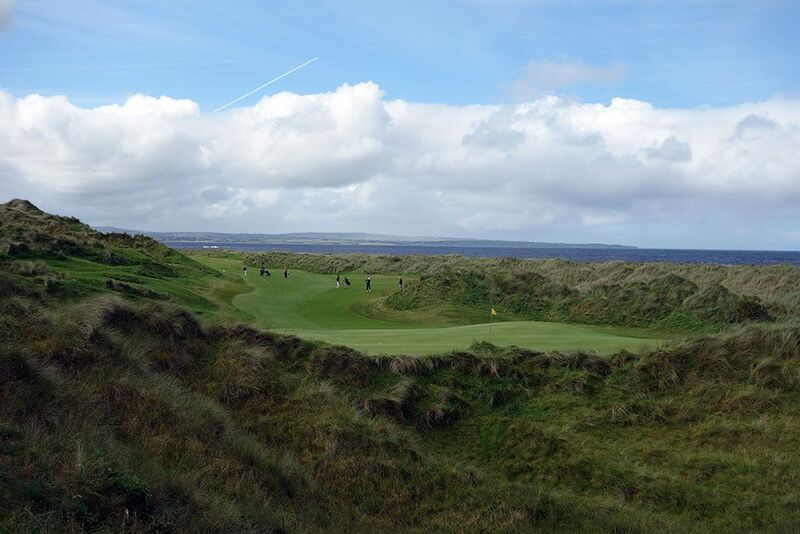 Conditioning is very good throughout the course as is the challenge with Enniscrone standing as one of the more difficult layouts on Ireland to play to one's handicap. 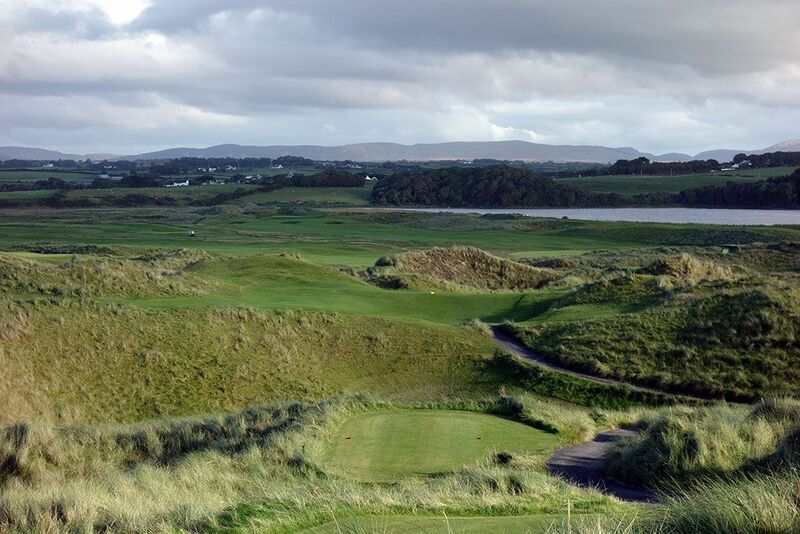 While southwest Ireland gets all the hype when attracting American golfers, the courses on the northwest portion of Ireland's Wild Atlantic Way truly are not to be missed, including the impressively unique links at Enniscrone. Red (Women) 72 5592 73.0 ??? 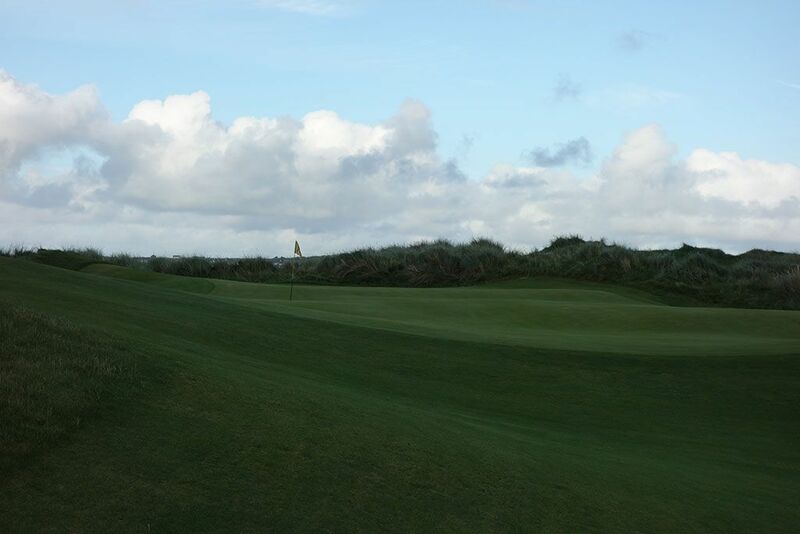 Signature Hole: 16th Hole – 545 Yard Par 5 – Enniscrone's final par five is also the best hole on the property. Coastal dunes are the only thing that separates the fairway from the ocean as players tackle this hole that fades slightly right and away from the Atlantic the closer it gets to the green. 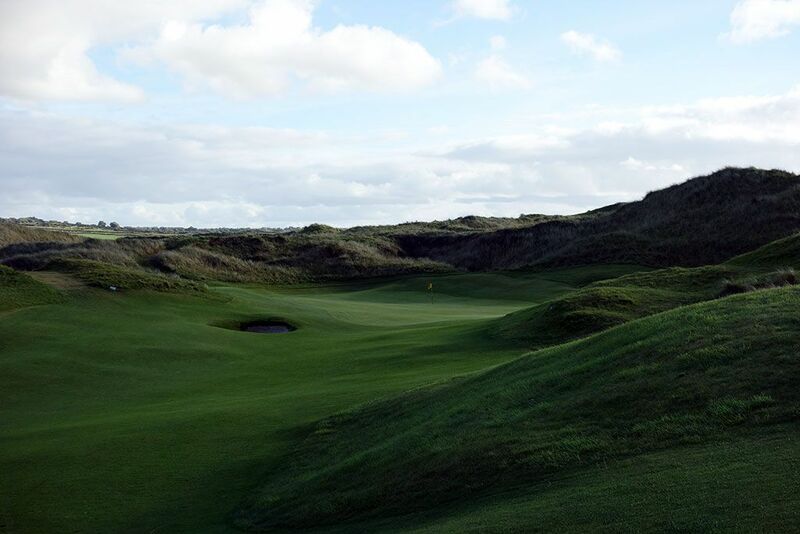 The prodigious dunes framing both sides of this hole give a feeling of seclusion and grandeur that epitomizes everything that Enniscrone is about which is capitalized by the seaside setting. The bunkerless hole features a fairway that slopes towards the water and relies on the incapacitating marram grass outside the short grass being defense enough to contend with. Best Par 3: 17th Hole – 149 Yards – The charming 17th looks like something out of a book with the green surrounded by subtle marram covered ridges with the sea and coastal portion of the townsite creating the background for this short hole. When the wind is up this hole quickly gets difficult since little protection is offered from the elements at this elevated position on the course and all sides of the green slope away from the flag. Best Par 4: 12th Hole – 345 Yards – 225 is the magic number on the 12th hole since it is the amount of carry you need on line with the green to carry the berm protecting that line while 225 is also the maximum number of yards you can play down the right side of this dogleg left before you run out of fairway and find yourself in Enniscrone's penalizing rough. 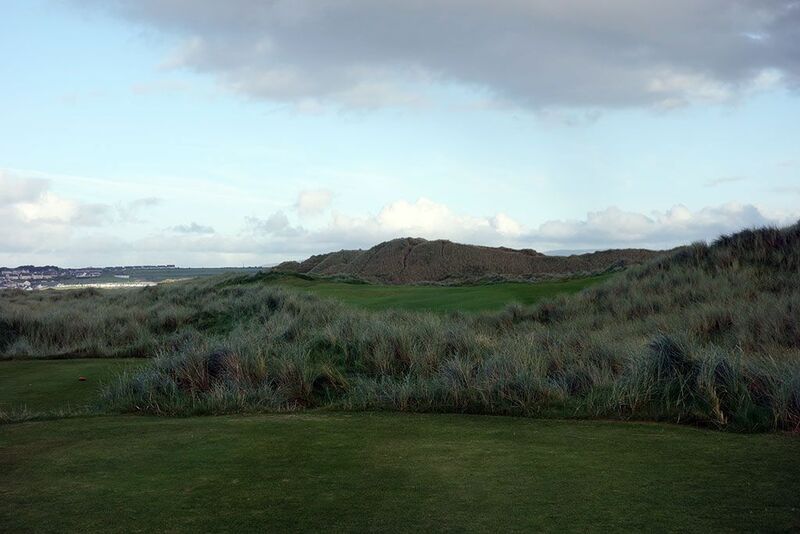 The green is cut into the middle of a dune with marram grass establishing the backdrop and a retreating fairway providing an intimidating frontal to the putting surface. A big drive could carry up by the green and leave you with a short chip however a crooked drive could turn a birdie hole into a bogey quicker than Ireland changes weather. 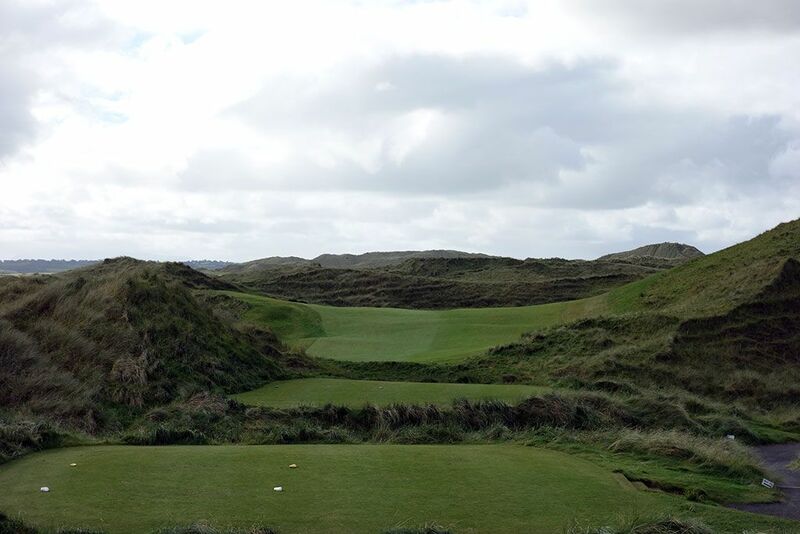 Best Par 5: 2nd Hole – 556 Yards – The opening tee shot at Enniscrone is rather prosaic before the approach shot quickly changes the tone as players are sucked into the choppy dunesland that is Enniscrone's signature feature. By the time you get to the 2nd hole you have no question you are in for a wild ride through one of the most dramatic series of dunes-laden holes you'll ever encounter. The tee shot plays to a fairway that dives out of view near the landing area for tee balls. Over 50 yards wide at the 280 yard mark, the fairway diminishes to just 12 yards of width 180 yards from the green as the hole ascends to the greensite that boasts a gorgeous ocean backdrop. If you don't have a smile on your face by the time you leave the 2nd green then you don't realize how special true links golf really is. 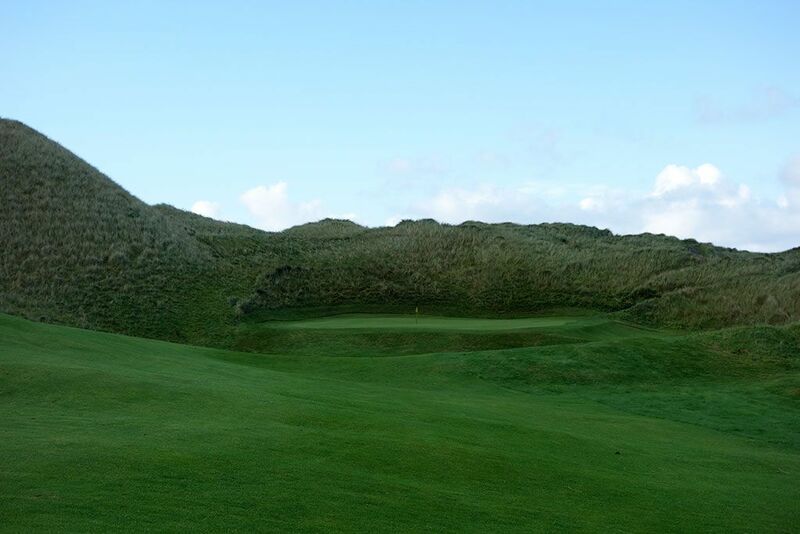 Birdie Time: 13th Hole – 350 Yard Par 4 – Known as "The Burrows," the 13th at Enniscrone is one of its most unique offerings and a great chance at carding a birdie. From the tee players can play a 225 yard shot safely over the white stone marking the optimal line for setting up an inviting approach shot to the green. Players that are feeling confident enough to roll the dice on a riskier tee shot can hit their drive directly over the high point of the bunkered dune right of the fairway which is on line with the putting surface. A 260 yard carry is necessary to clear the junk and 285 yards is needed to reach the green. Balls that barely clear the junk may find their ball on the opposite side of the green after the hillside shoots it across the putting surface and sets up an opportunity to hole out in two more strokes for birdie. The 13th is a fun hole with options and opportunities abounding. Bogey Beware: 15th Hole – 421 Yard Par 4 – Players come back to the coastline for this challenge par four that features a late turn to the left. Don't let the lack of bunkers fool you, with little protection from the wind and marram grass blanketing the surrounding dunes, just striping a tee shot down the fairway will be an accomplishment. The approach shot though is where the 15th really gets tough as the crowned green repels more shots than it receives. The putting surface delivers another blow to your score if you aren't able to navigate the undulations with exceptional skill. For a hole that isn't terribly long, "The Strand" certainly earns its #1 stroke index distinction.